Members of the Discovery Museum receive many benefits, including unlimited museum admission and special discounts on museum programs. Explore the different levels of membership below. 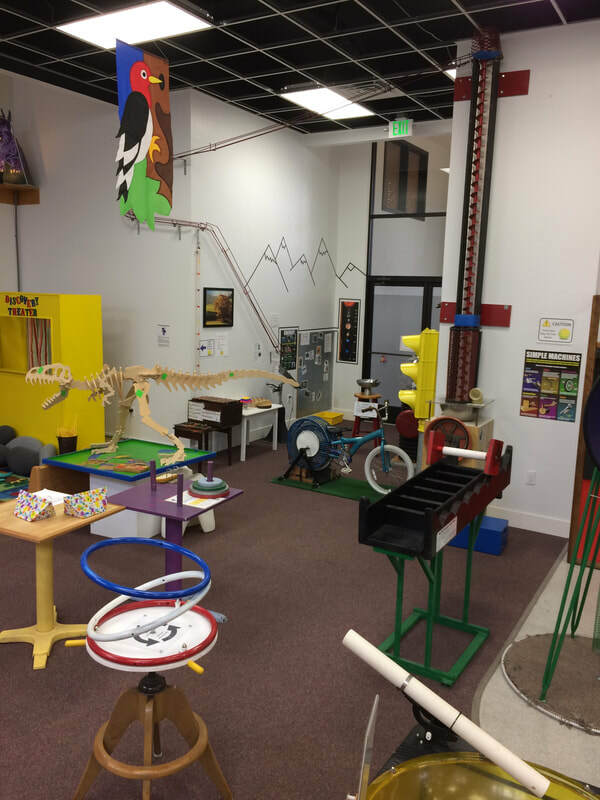 The Discovery Museum is a non profit organization with 501(c)3 status. All memberships and additional contributions are tax deductible. One year membership for a household of 3 or more; includes 10% discount on all museum programs, birthday parties, and items from the Explore Store. One year membership for an adult and a child under 15 years of age; includes 10% discount on all museum programs, birthday parties, and items from the Explore Store. Have your child’s next birthday party at the Discovery Museum! Enjoy a private room for your festivities, admission to the museum for up to 30 party guests, and unlimited access to all our wonderful, interactive exhibits! Admission is $3.00 for each adult or child (over the age of 18 months) beyond the first 30. Stop by or call the Museum at 443-9694 to book your party! A non-refundable $35 deposit is required to hold your date. Deposits can be made over the phone using your credit card. Make your reservations early. The museum is frequently booked up in advance! We reserve the right to limit the size of your group. We do not recommend over 20 children. We offer a “do it yourself” party, and do not provide food, drink, or decorations. All food, drinks, balloons, bubble solutions and party favors must be kept inside the party room. We ask that guests follow the general museum rules regarding running and noise level, as well as being courteous in keeping the museum clean. We require a ratio of at least one adult chaperone for every three children aged five or younger, and one adult for every five children over age five. The Explore Store now offers FREE gift wrapping. Stop by on your way to that birthday party and leave with a wrapped and ready ​high-quality gift! Explore the museum with your school or youth group. We offer a 90 minute, self-guided field trip. Your students may use our scavenger hunt to interact with museum exhibits. Pricing: Field trips start at $40, which covers admission for 10 children. Chaperones get free admission. Admission is $3.00 for each child beyond the first 10. Call 707-443-9694 or email info@discovery-museum.org to reserve a day and time.